My concept for the challenge: I merged two locations in different countries. This is also the first time that I merge my Flashback Friday with the Weekly Photo Challenge. When Mount Vesuvius erupted in 79 CE, the Roman seaside towns of Pompeii and Herculaneum as well as the surrounding area were engulfed by volcanic material. Since that time up until the 18th century, Herculaneum was buried under a layer of volcanic material more than 15 meters (50 feet) thick at the base of Vesuvius. The remains of the buried city were first discovered in 1709 and explored mainly by tunnels during the 18th and 19th centuries. The site’s many richly decorated public buildings, houses and theater have yielded fine marble and bronze sculptures, wood elements, and paintings. Of particular significance, an extensive library of charred papyrus rolls was found at the Villa of the Papyri (a lavish residence that served as the inspiration for the design of the Getty Villa in Malibu, California). Three short periods of open-air excavation at the site were conducted in the 19th century. Systematic open-air excavation began in 1927 and continued until 1961. Since 1961 excavations within the archaeological site have proceeded intermittently. 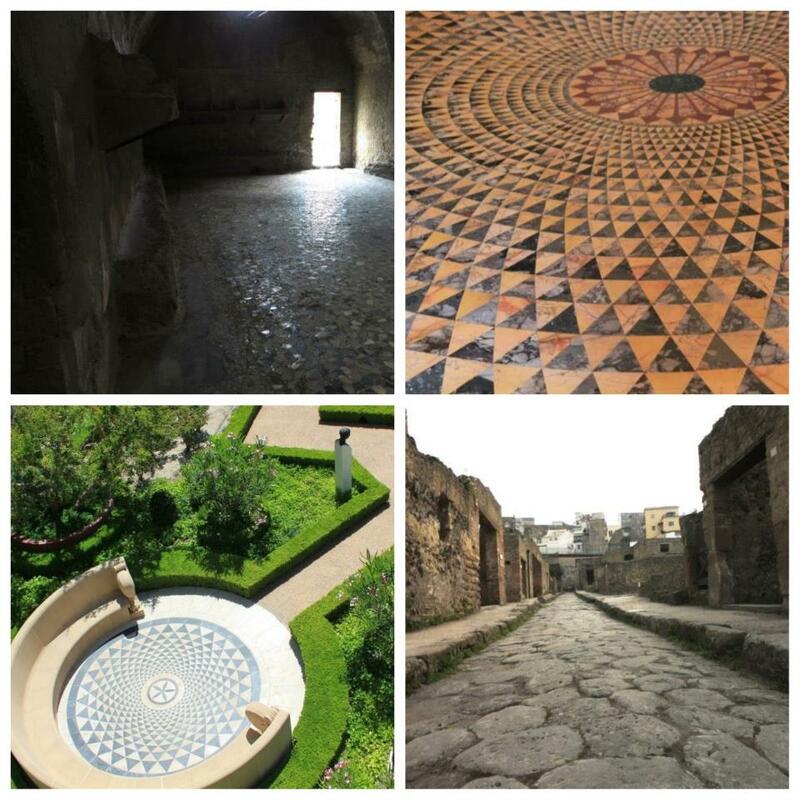 It is estimated that only one third of the ancient town has been uncovered, with the remainder lying under the modern town of Ercolano. Having an odd admiration to Mt. Vesuvius, I decided to hike the heart of it. Little did I know that the tour I signed up for also consisted of revisiting the past of what it was like before the volcanic eruption. The ruins showed how the Romans were very established and civilized then. They had stores, bakeshop, pizza place, markets, gardens, parks, or pretty much everything you find in a regular community. Given the periods, it proved that it goes way back tthen that Romans were already decorating their quarters with paintings and sculptures of colors and of variety of designs, placing intricate marble tiles, constructing multiple-level buildings, and were very well aware and knowledgeable with different systems that are necessary to build shelters, cook food, and survive like irrigation, equipments, transportations, etc. I was certainly exploded with compounding fascination, interest and wonder. Turn the hands of time to present is Getty Villa which I visited last month. 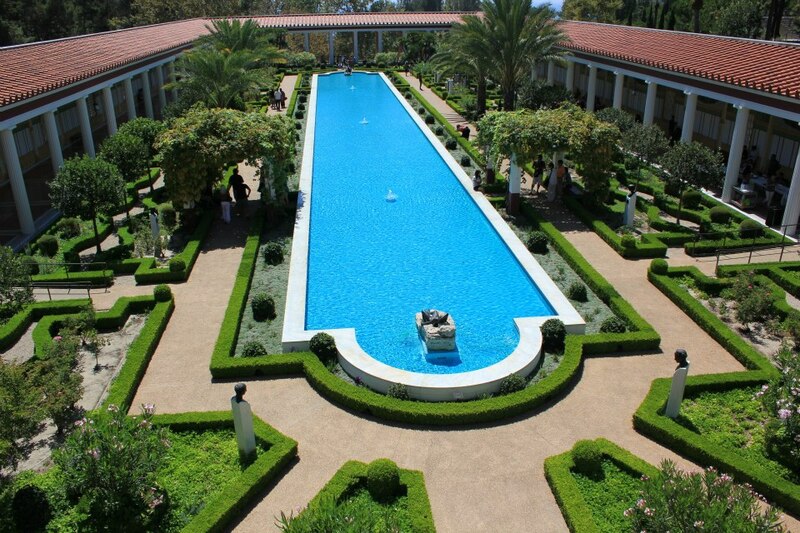 Getty Villa location design is based from Villa dei Papiri in Herculaneum. 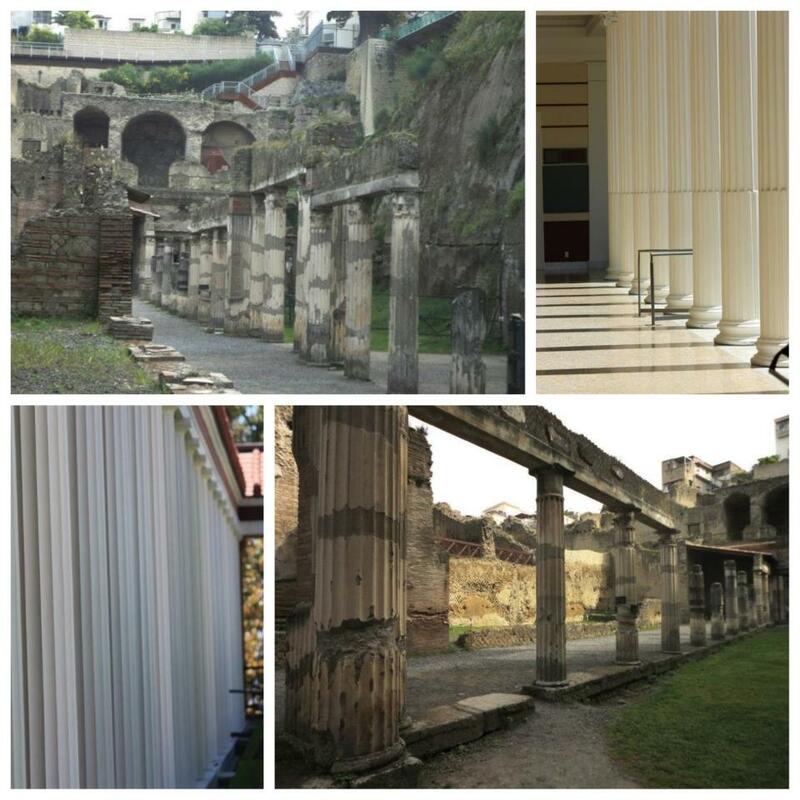 The rusted and ancient look of the pillars, walls, ceilings, pathways and materials in Herculaneum can be observed at the Getty Villa in pearly whites, smooth textures and refined designs and more elaborate patterns. The pillars on both locations are my favorites. I know this relative newly created blog since it started. Her first post was a simple, yet very illustrative picture of a portion of Getty architechture. Do check that out? Since then, she’s been “focusing” on building designs, flowers, and abstracts with keen eye, obscurity and pleasant randomness. See how she approached the Disney Hall, and see how Rona has such a good eye for often neglected areas and parts. 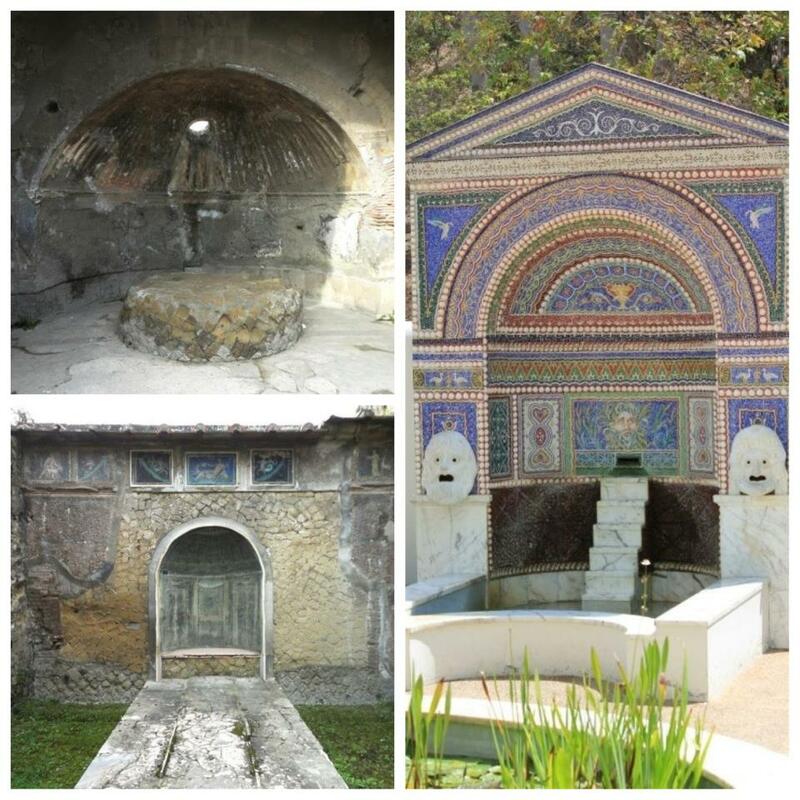 The artifacts and sculptures you see in the Getty Villa can also be seen in Naples Archeological Museum. If you stare at the last photo it starts to move! I visited the Getty a couple of decades ago. Herculaneum is our on agende sometime in the future. The National Gallery of Art hosts an exhibit from Pompeii a year or so ago, which just whetted our appetite for travel there. Good thing you mentioned. Getty Villa is working on some Pompeii exhibits. Thanks for the visit, hermitsdoor. Wow!! Amazing photography’s. I love the elongated pool and the last picture. Noting I didn’t know the connection before, I was surprised myself. It’s so cool. And I’m glad I had sufficient pictures for both to merge the two locations together. You have a beautiful blog! These are amazing! Thank you for stopping by my site for a visit and I’ll be coming by often to see you magnificent photos. I’m hoping to get a new camera. I probably should have made the purchase before we left Canada. What kind of camera do you use and why do you like it? I say it’s in the lens. I have three lens. I have wide, macro and a telephoto lens for Canon. The Herculaneum shots are from Point and Shoot. Have you consided renting a camera? I haven’t done it, but I know people do. We’re in Panama…in the country. I don’t imagine that I’ll be able to find a rental camera here, anywhere! I’m kicking myself in the pantalones for not mining the brain trust in the design program at the university I worked at in Canada. Although some swore by Nikons and otheres were die hard Canon users. Likely it will be a more difficult search for a camera that fits my needs here. I don’t want anything too complicated. I have a little waterproof point and shoot right now. I’ve found that being near water alot the waterproofing is important. Even with that I sometimes still get a foggy lense if it’s a steamy day near the water. You got amazing shots with your point and shoot. You have a very good eye! Well, Nikon generates better images, but it’s not like something Canon can’t do. And know there are great SLR cameras that are smaller in size. Thanks for the advice. Mi amiga here has a Rebel and she loves it. I may have to look for it in the city but it’s on my Christmas wish list! You’re lucky I didn’t… 🙂 no link yet. Solo! I already told you. Hehe. It was a long reply. Hehe. What a cool post Rommel. I love the Getty Villa and my father visited its twin during WWII and told me about Pompeii & Herculaneum leading to a life long fascination with all things Roman. Great post! Thanks elfkat for coming by. Love your exhibits of Getty Villa and Getty Center as well. The architures are awesome but I love all their sculptures above anything else. To each their own, I guess. Interesting. I visited Pompeii years ago when I spent a college semester in Italy. I went to The Getty Villa a few years ago. When I see ancient sites, I always wonder what it really looked like/felt like when it was “new”. Then I go to something like the Getty and it felt fake, like an amusement park. Interesting that I have that reaction, you know? I forget that what I’m seeing at The Getty is as close as I’ll get to going back in time! I see what you mean. It’s certainly a different atmosphere and feeling, and the viewing pleasureis certainly different from seeing sculptures outside than seeing it inside a museum. I guess this make Getty Villa extra special. Thanks for bringing that up. From my pictures, the biggest lost of authenticity are the pillars. 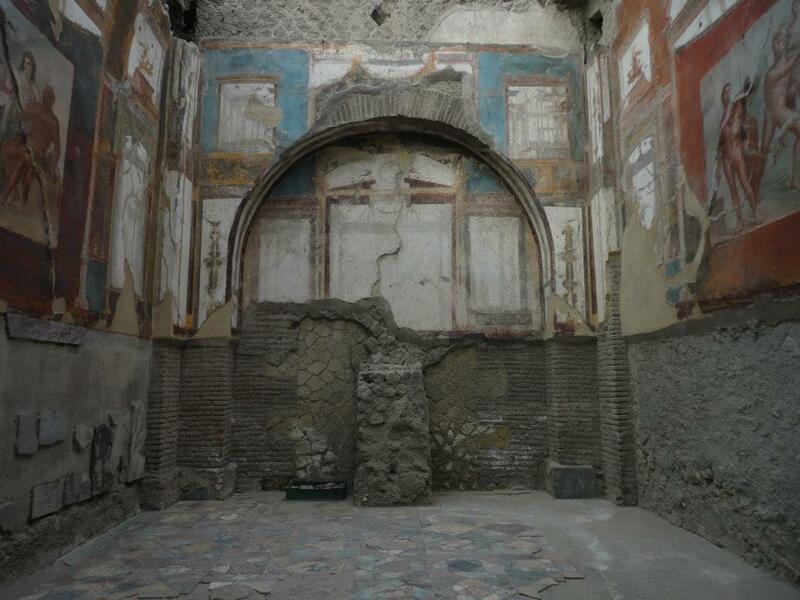 i think Herculaneum with half-standing pillar looks so much better than the clean, smooth, complete pillars of Getty. I’ve also been to both sites. 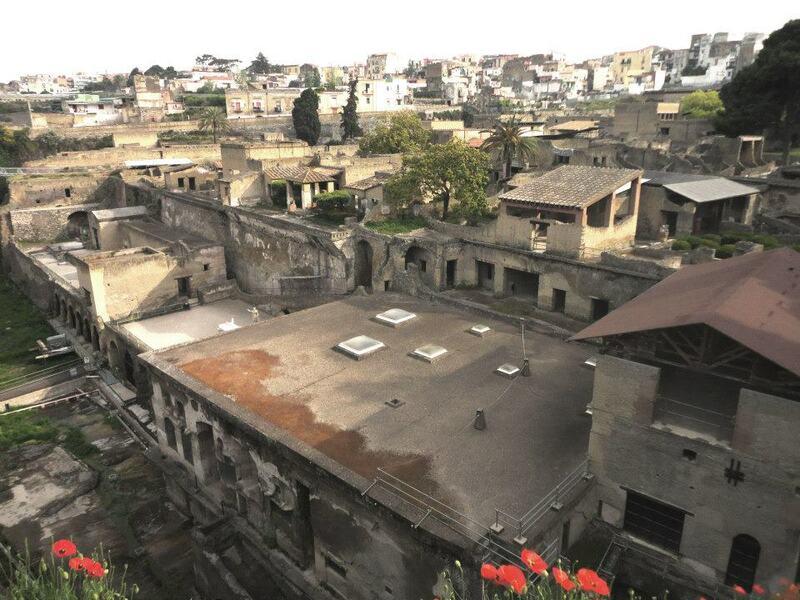 Herculaneum is such a lovely, eery place. And the Getty Villa is just plain lovely. Great idea to cover them both in this post. So kind of you to mention my photos — thank you, Rommel! I haven’t been to the Getty Villa yet, so really enjoyed this post; now I’m even more anxious to visit. Loved this! I am more intimate with both sites than you could ever imagine, and you have done such a splendid visual job! Thank you for the kind words. Care to venture why why you are more intimate? Ooops, I said something mean about the attendees who are safeguarding the exhibits to one of my comment. Sorry if I offended ou. It was from Getty Center, anway. You really got me on this post! Your work is spectacular and I have put Naples Archeological Museum as first on my list of places to see when I go to Italia next May. Napoli will be the citta I fly in and out of, Melfi is to the east and that is where I will be staying. 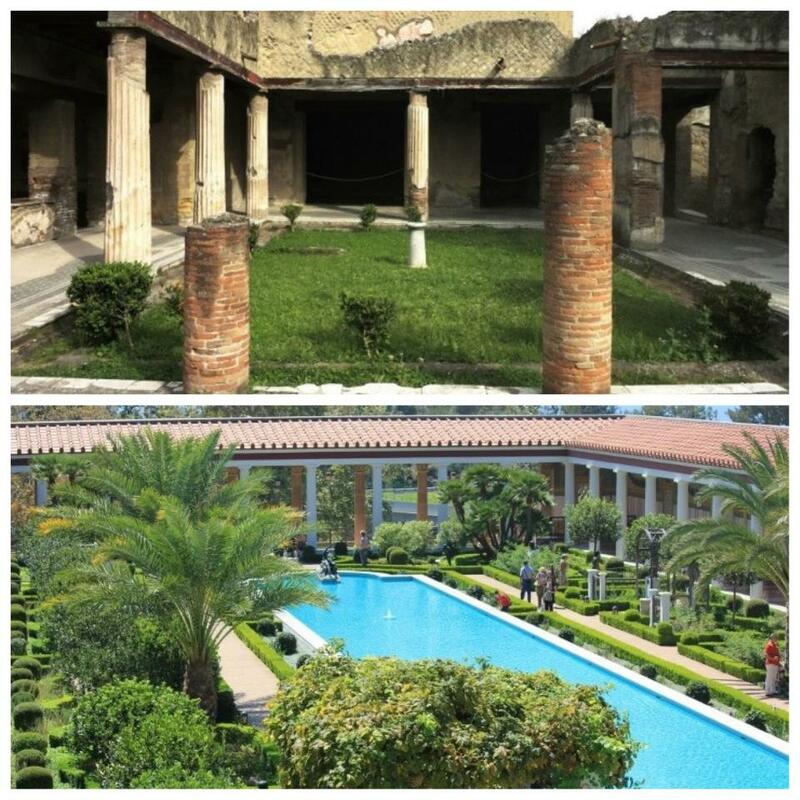 Maybe I can make it to Pompeii and Herculaneum to see these places. Why you looking at my blog!? Shouldn’t you be doing something? 😀 I look forward to it til then. Ow, I should have a postofother things Getty Villa this month. 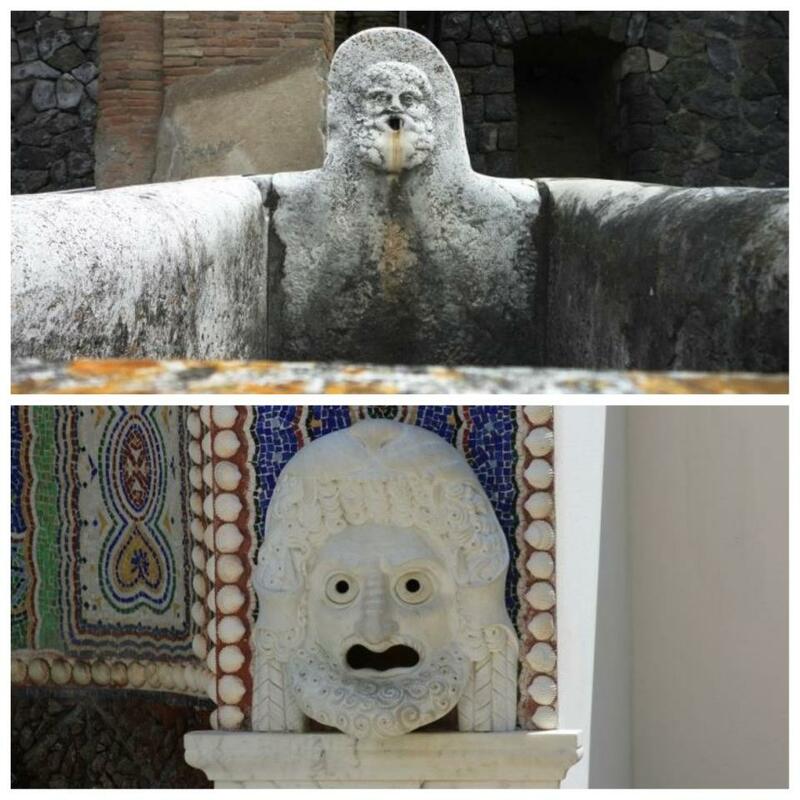 The displays in Getty Villa are similar to that of Naples Archealogical Museum. Thank you eof737 for taking the time to gander around my blog. Like I replied before, I had to borrow a lens from a stranger just to get that shot. Very interesting and informative post of two places I have never visited but obviously need to. Thanks for broadening my perspective, Rommel. In case you really are interested. I, (strictly personal), prefer Getty Villa than Getty Center because of the sculpture. You might have known about Getty Center already, but if you haven’t I think it’s better if you’re seeking more modern art. Really interesting! I loved the pictures and the comparison. I would love to visit both places. Same look, different experiences and feel. Either one would give you a remarkable visit. interest post and great photos! Thanks for sharing! I didn’t expect that hike to be so tiring. I got the stick, hehe. 😀 i adore Mt. Vesuvius and there was no excuse for me not to hike it. Good memories, indeed. Wow, these are great! Very clever of you to merge the two! Amazing! I felt like I had a glimpse of what it was to live them close to the Gods. The pillars are magnificent work of Art that withstood the test of times. Beautiful images Bro! Great job! The construction of any pillar of olden days never fails to fascinate me. Thank you, thank you, thank you. I may not respond to the nomination in time, but know that I appreciate this so much. Keep up the good work, tchi. I forgot to congratulate you on the rise to your number of views. I hope you get more. Thanks! You too. You are getting quite a following! I was glad the idea triggered my brain to come up with it. 😀 Thanks for the compliments. What a coincidence! Please go to my website/blog page “vrienden en partners” ( http://interieur-project.com/over/vrienden-en-partners/ ), click on “Link: Ditta Medici”, then click on “English”, then click on “our past and our famous clients”, then click on “Getty Museum”. Those photos were taken in Rome, in 1972, in Medicis’ workroom. I know them wery well. Oh I wanted to see it, but there’s a plug in that I’m lazy to install. Hehe. 😀 I’m sure it’s interesting. Thanks anyways. Amazing post! Thank you for taking us through a journey of both sites with such wonderful writing and great photography. 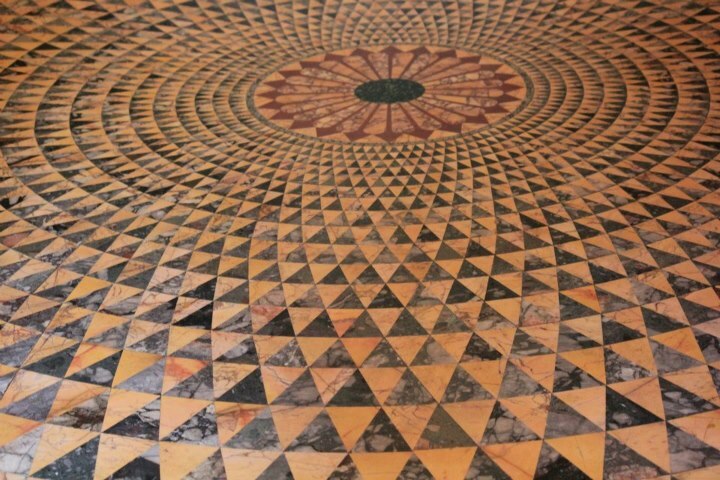 My next trip to Los Angeles — and I don’t make them very often — will be to Getty Villa. I love Rome and Italy and California too. Great photos! 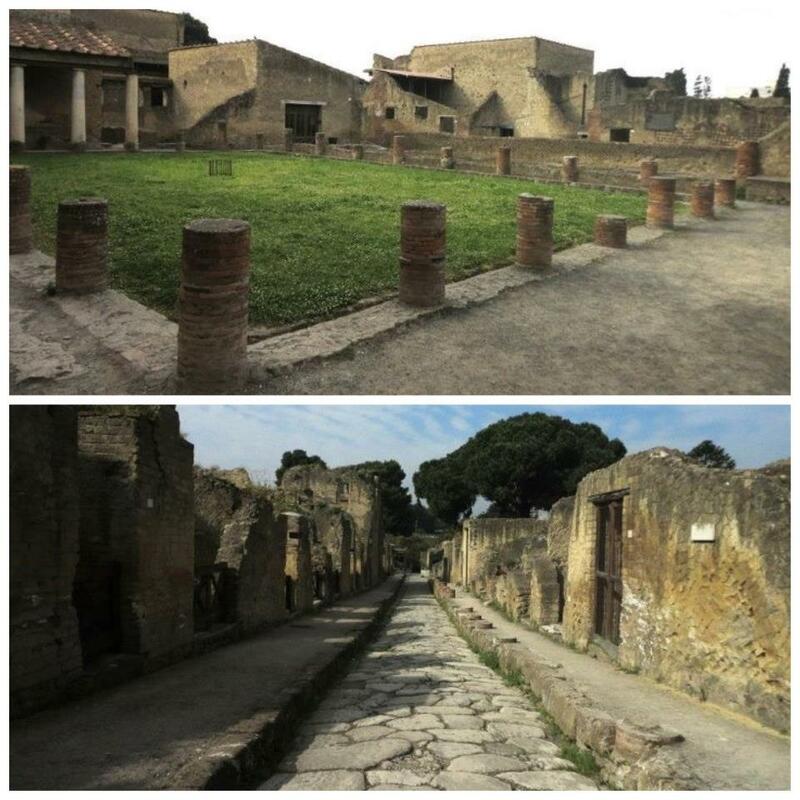 Pompeii is fascinating! Thanks, Tanya. Your images are WHOA-artistic! Strange how similar the architecture is between the two places separated by thousands of miles/years in space and time. I regret not seeing Mt. Vesuvius when I was in Napoli. Next time for sure. GET THERE! Mt. Vesuvius is an Italy-essential icon. Sony Cybershot series are great. Really the best for cheap pocket camera. Thanks for all the support, Carla. Herculaneum sure is lesser known than Pompeii, but equally relevant and interesting to see. Thanks for the visit, Paula. Showing my extreme lack of culture and refinement here…what does CE stand for in that date (79CE)?? Is that like 79 B.C.? Great photos, btw…loved them all! Shoot! I actually don’t know. I know it’s a long long time ago. Bwahahaha. I provided a Source link. I love the Getty Villa! It’s such a peacefull place to visit. Very informative post! I learned something new!